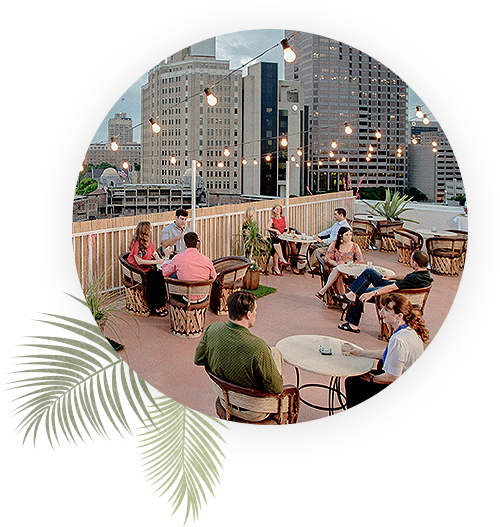 El Tropicano’s 37,000 square feet of beautiful San Antonio meeting and event space provide the perfect settings for business gatherings and special occasions. Our versatile venue space, warm hospitality, and easy access to San Antonio’s top attractions makes us Alamo City's premiere meeting and conference hotel. Whether you're planning a big corporate retreat or you're here for business meetings each month, we’re happy to help you arrange room blocks for group travel, airport transportation, meeting and event space, and everything in between. Our sales and catering team have decades of hospitality experience and are available to assist clients in every way, from choosing an appropriately-sized venue space to selecting the perfect menu to match your budget and tastes. Your vision and your event will be flawlessly executed, as our Executive Chef and catering team work tirelessly to custom design a menu that meets your needs and exceeds your expectations. No detail is too small and no request is too large.